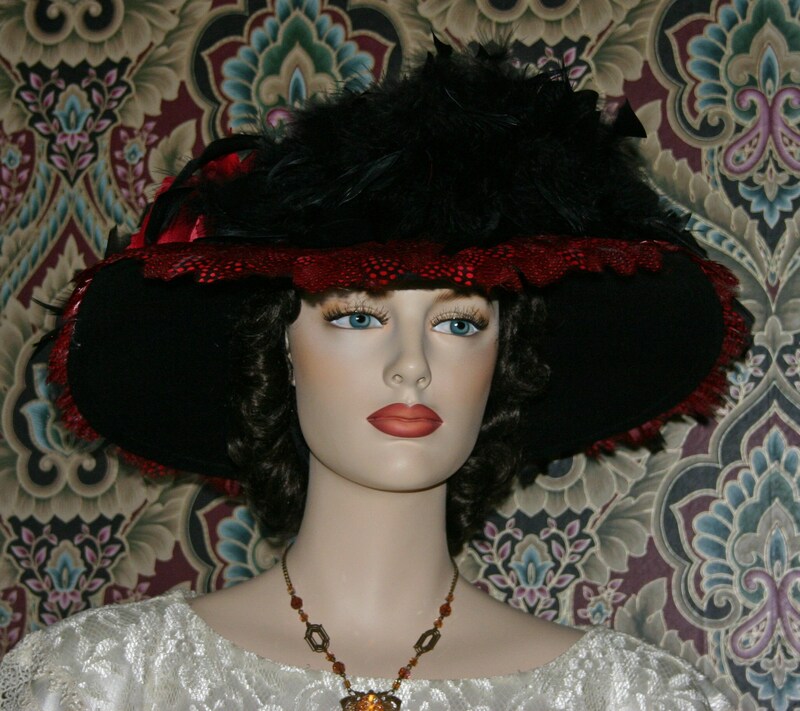 Downton Abbey Hat "Lady Lanna" is perfect for your Titanic event too! It would also be great for any Edwardian Tea Party. It's designed over a black wool base. This another in my "ROYALE Edwardian Hats" collection. This hat is designed very true to the era. The brim of the hat is completely covered with tiny delicate dyed red feathers. 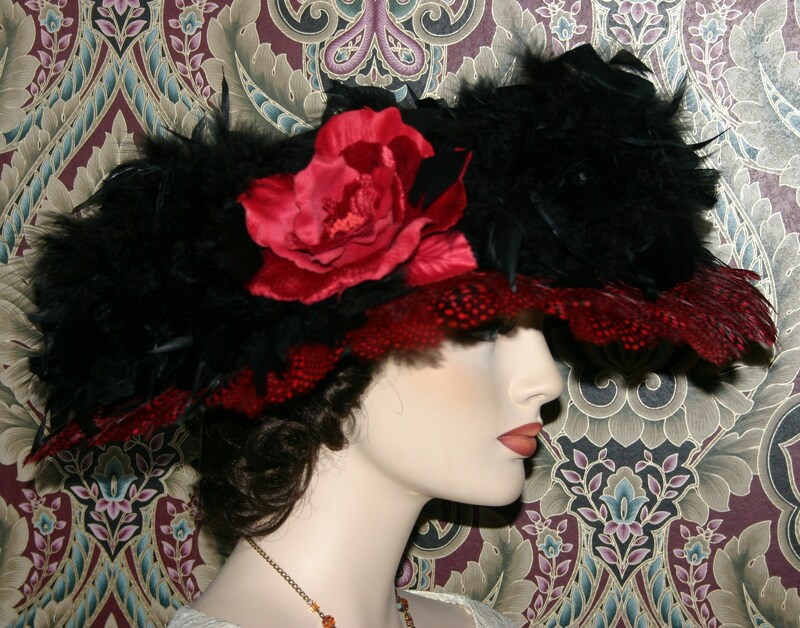 Gorgeous black marabou and feathers wrap around the crown of the hat and is then accented by a large velvet opened face red rose. VERY, VERY ELEGANT!